Microsoft has detailed a speedy Nano Server preloaded with born-in-the-cloud applications and containers, all of which will make new container option an important part of Windows Server 2016. The purpose-built OS is designed to cope with the ever changing band of modern apps and cloud technologies, which require speed, agility and lower resource usage than traditional servers. At its heart, the Nano Server is a extremely slimmed down version of Windows Server. 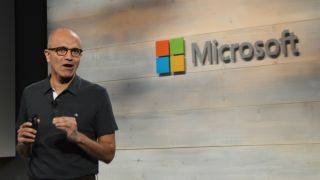 Microsoft has stripped out the GUI, 32-bit support, MSI and a range of the other Server Core components allowing it to provide faster restarts, better resource utilization and stricter security. What's more, it will require fewer software updates and patches. The TechNet blog highlighted that compared to an older Windows Server it has a 93% lower VHD size, 92% fewer critical bulletins and 80% faster reboots. Beyond performance the Nano Server also focuses on two different scenarios. The first being born-in-the-cloud apps, which it can support through a wide range of programming languages and run times running in containers, virtual machines or on physical servers. The second scenario, meanwhile, is the Microsoft Cloud Platform infrastructure that includes support for compute clusters running Hyper-V and storage clusters running Scale-out File Server. Alongside this announcement, Microsoft detailed a new container option for Windows Server 2016. Called Hyper-V Containers, they provide an extra security cushion by running around the container and not the whole OS and as such give another isolation layer. This adds to the popular Docker containerisation technology that Microsoft added to the next version of Windows Server last year. Nano Server won't be a part of the next Windows Server 2016 update due next month and will instead be added at a later date.